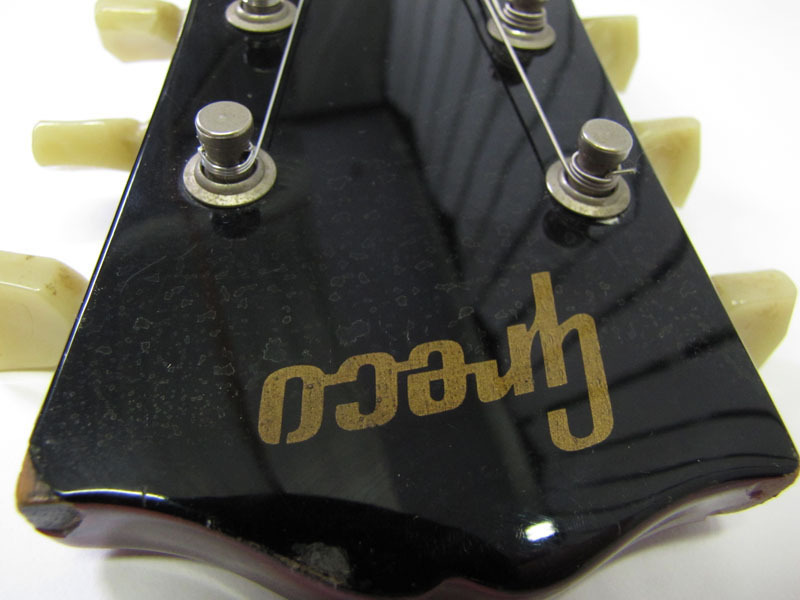 Tokai Forum - a subsidiary of TokaiRegistry.com :: View topic - Is there a Greco SG Junior with one P90 in the bridge? Is there a Greco SG Junior with one P90 in the bridge? 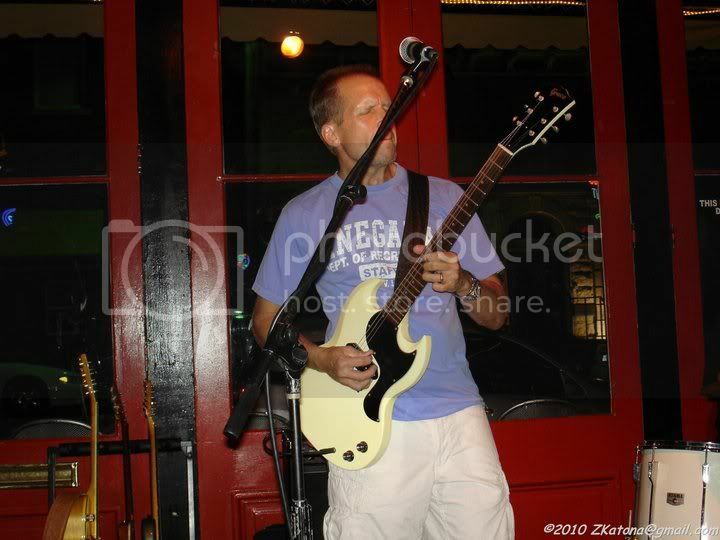 Posted: Tue Aug 20, 2013 3:54 am Post subject: Is there a Greco SG Junior with one P90 in the bridge? Has it been ever made in 70s-early 80s and finished in nitro? If yes then what model designation would that be? I have one..... 1987 Mint Collection. Thanks Marcus. So that's the only model and year that such a guitar was made? There were red ones too right? What are the specs (or where can I get them)? For example what model is this one? Open O on the Greco logo, this model was made after 1982. No nitro finish on these models. This model does not appear in the 1982 "mint collection" catalogue. Mahogany body and neck, rosewood fretboard, polyester finish and a "hot lick" P90 pickup. I hope this model appears before 1990, and could have a different finish (polyurethane finish) in the mint collection years. That's a damn shame that they weren't finished in nitro. The one above just looks so nice and old. I like the silkscreened logo. Were 1981 SS500 with two P-90s finished in nitro or poly? Nice looker, doubt it's nitro though. The SG's were usually cheaper end of the line so can't imagine any had high specs such as nitro etc. 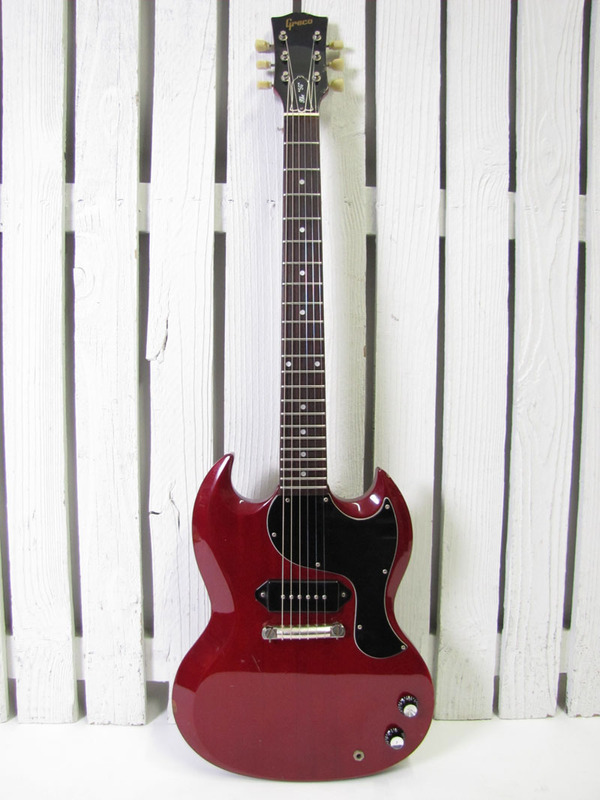 I saw a Greco cherry red SG junior sell on YJ a few days ago for 18K (~$180) kinda wish I'd bid for it as it was in decent condition. Probably best just stripping a super real series one and refinishing if nitro is that big a deal to you. The finish on them isn't that thick and with no binding shouldn't be too hard a job to scrape it off. The SS500 models have a polyurethane finish. I have one from 1980. Stunning quality and very good P90 pickups. I can compare the sounds with my '62 Sg Jr and the Greco have a nice vintage tone. Yep, I'm also watching that auction. 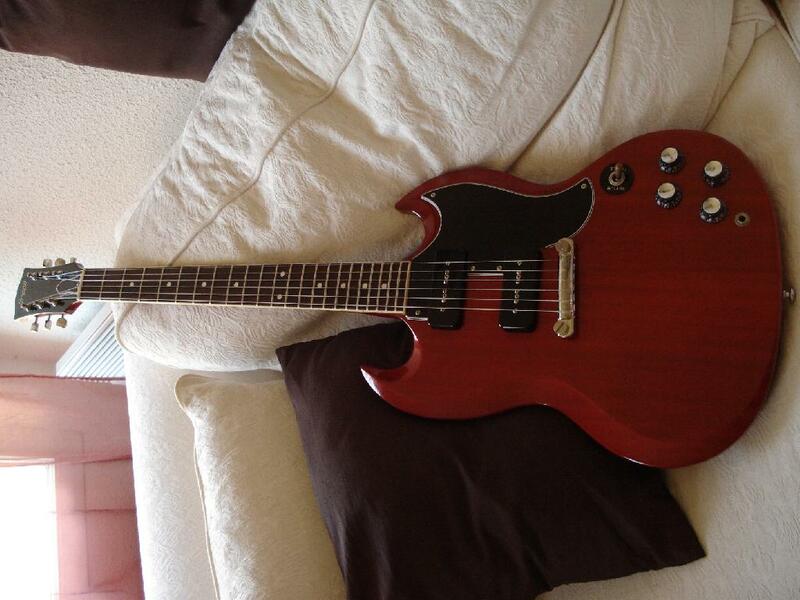 And Was thinking of buying some 50s-60s Gibson P90s to throw in it. 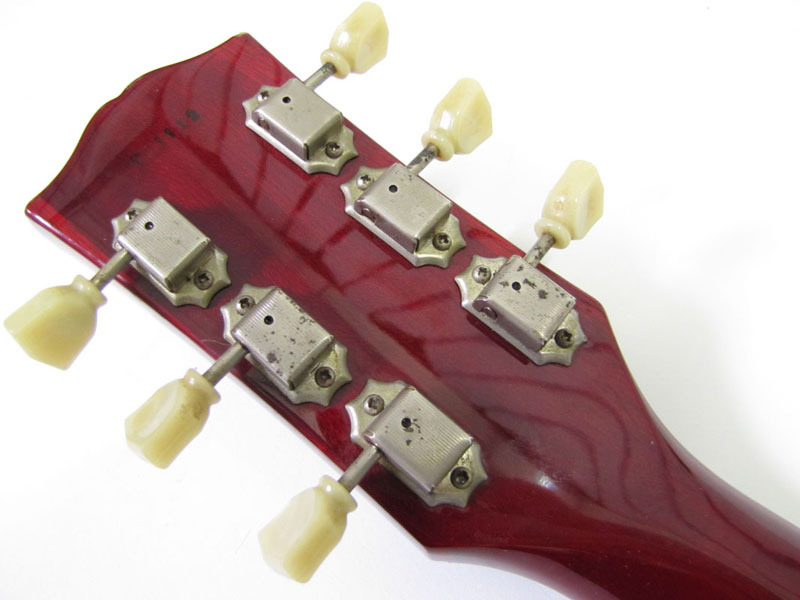 But this is actually a common thing in Guild S-100s (Guild's take on SGs) for finish in the neck joint to crack. It could actually mean that the neck angle shifted though which is not a good thing. Also the Mint collection Greco SGs were made only in 1987 or were there any made earlier than that? 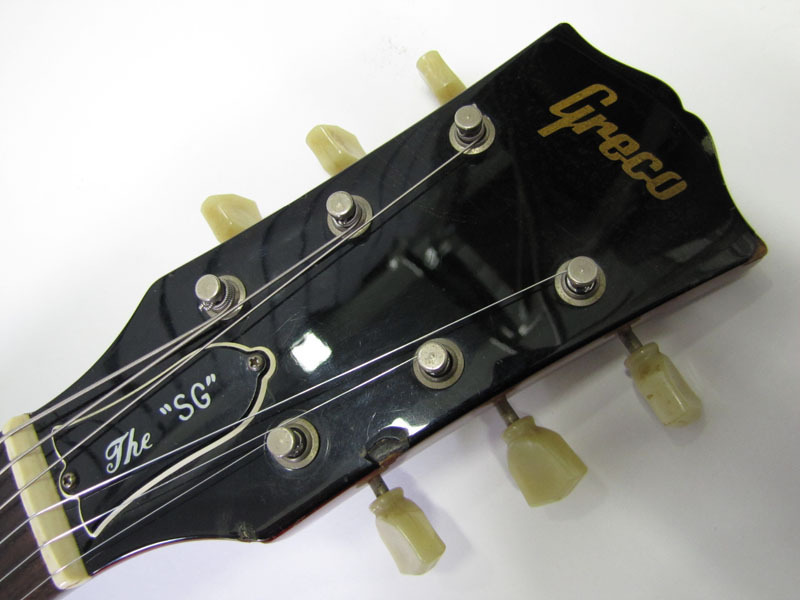 I was able to track down a Greco SG Jr. finally. Mint Collection and regarding the serial number, year 1987. What a fabulous guitar! It just sing and screams! Awesome guitar...was a loooong hunt!